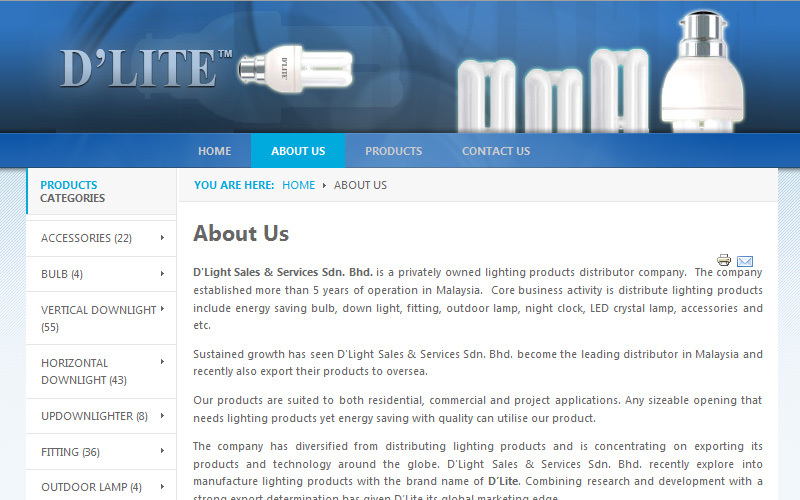 D’Light Sales & Services Sdn. Bhd. 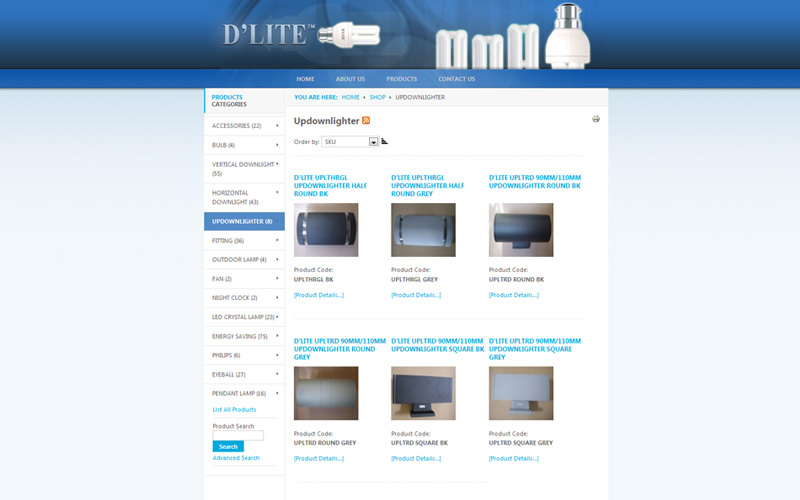 is a privately owned lighting products distributor company. 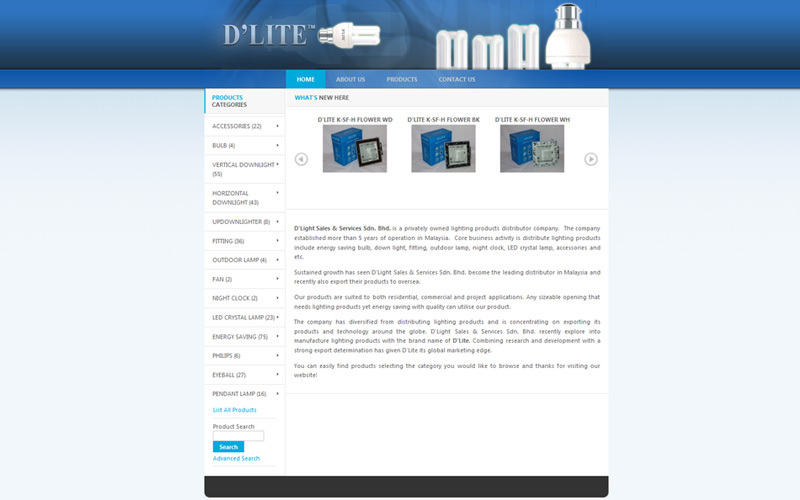 The company established more than 5 years of operation in Malaysia. Core business activity is distribute lighting products include energy saving bulb, down light, fitting, outdoor lamp, night clock, LED crystal lamp, accessories and etc.